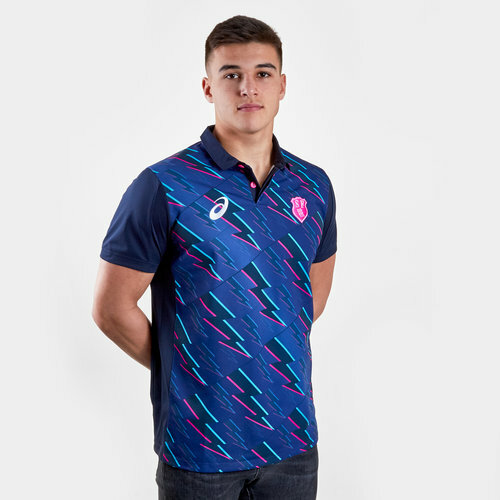 Famed for their outrageous and creative designs, this season the Stade Francais 2017/18 Home Replica S/S Rugby Shirt continues the trend of pushing the boundaries. 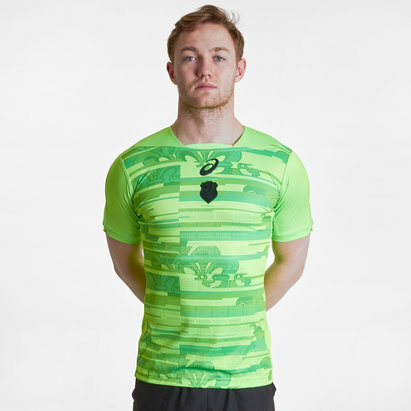 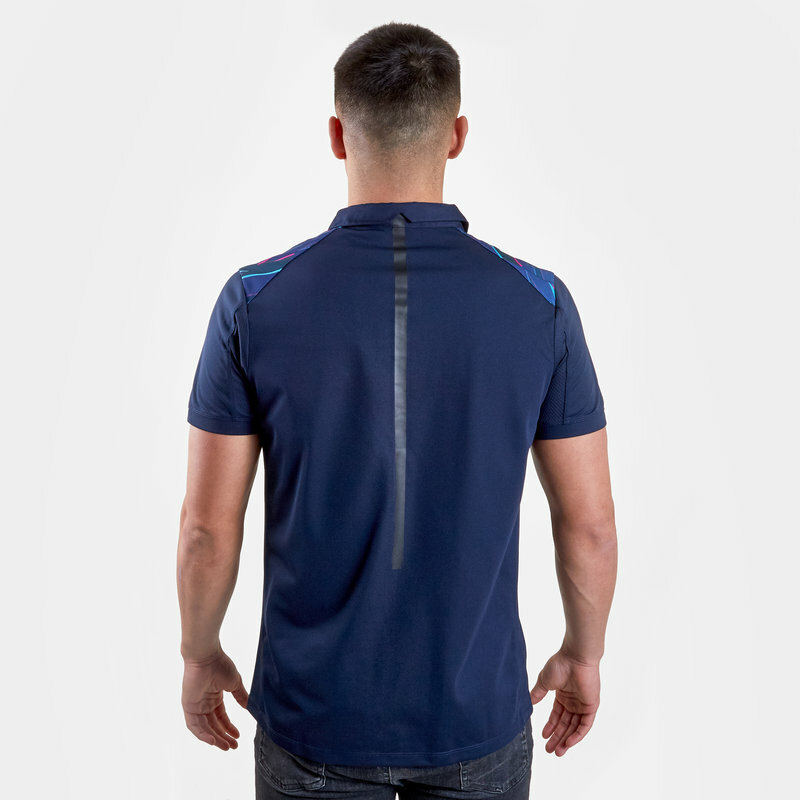 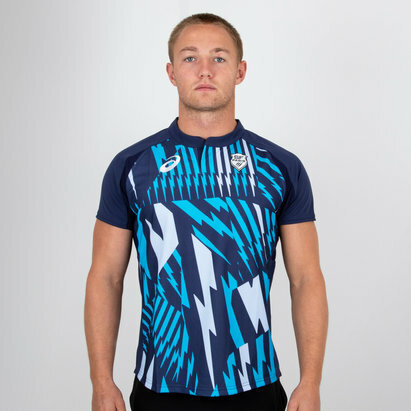 Made by ASICS from polyester, from a technical perspective the smooth feel and sublimated design of the jersey makes for a professional look and feel, both on and off the pitch. 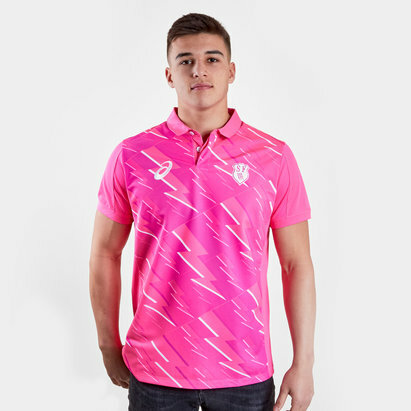 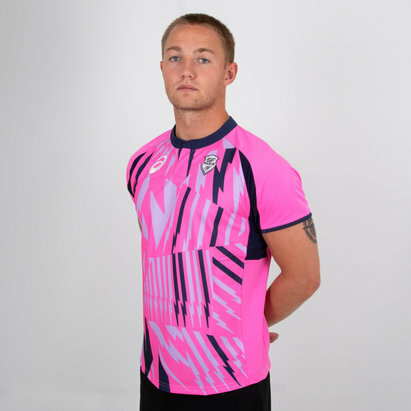 In typical Stade Francais fashion the boundaries of kit design continue to be pushed, this year the only difference is the inclusion of a button up collar, combining a smart build with a vivacious look. 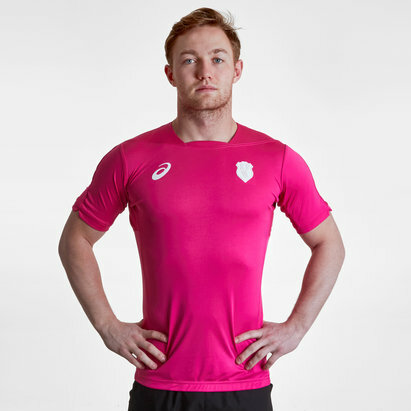 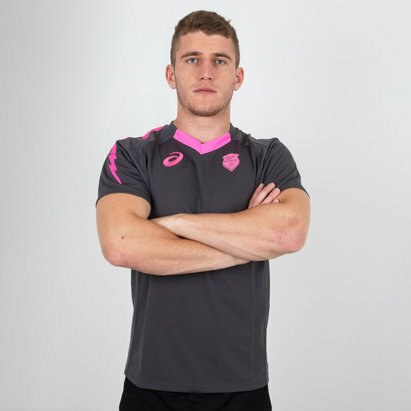 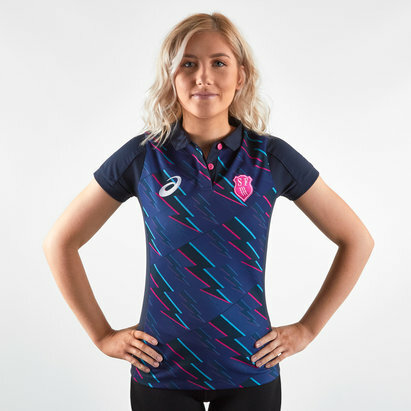 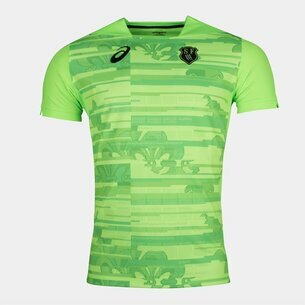 With ASICS having taken over from adidas, their logo features on the neck while the Stade Francais is printed atop the chest and given a white look for added distinction.